Santa Clara University Philalethic Debating Society invites you and your squad to participate in the Rev. James J. Dempsey SJ- Marty Cronin Invitational Speech and Debate Tournament to be held on the revised weekend Friday-Sunday, December 14-16, 2018. The tournament is named in honor of the late Rev. James J. Dempsey, S.J. and Coach Marty Cronin. Fr. Dempsey was a long time college coach at Santa Clara University and co-founder of the collegiate Northern California Forensic Association, the regional league that exits today. Mr. Marty Cronin was an outstanding teacher and coach at both Santa Clara University and Douglas County High School in Nevada where he was also a league officer and mentor to many debaters and secondary coaches. He was a past officer in the Nevada state high school forensic association and active in state politics. Both Fr. Dempsey and Marty Cronin personified what is great about forensics and debate education. We are pleased to announce that we are again a NIETOC designated bid tournament for those interested in the National Individual Events Tournament of Champions. We are also designated as a semifinals bid for the Tournament of Champions for Public Forum debate. Again this year we're asking schools this year to call in to confirm registration the Thursday night before the tourney to expedite early rounds on Friday and Saturday. All debate formats will start Friday, December 14 this year. Speech events and Congress start Saturday, December 15. Sunday elimination rounds are staggered between debate and speech events. Please note that we have adjusted the schedule. All debate events will start at 5pm on Friday. Varsity debate events will have 6 prelims, and Novice debate events will have 5. Please see new schedule below. If you have any questions regarding the tournament or registration, please email Melan Jaich (mjaich@scu.edu). NB: Our Philalethic Spring Invitational will be March 29-31, 2019. Entries will only be accepted on-line at http://www.tabroom.com.You can click on the tournament name from the Tabroom homepage to register. You can also search for the tournament by entering "SCU Dempsey Cronin Invitational" into the search box.It will take you a few minutes to set up your school's account, but once that is done, the system is a breeze. Plus, the system will save all your judges and competitors - so when you enter the next tournament that uses this system, you will not have to type the judge and competitor names again. To enter go to www.tabroom.com. Please note that high school tournaments and college tournaments are separated. You can find the SCU Dempsey Cronin Invitational under the National Circuit (NatCir) for high schools on Tabroom.com. The system will accept new entries until NOON Friday, December 7, 2018. Make drops and adds on the web page after that up until the tournament begins. However, changes or drops made after Wednesday, December 12, 2018 at NOON will be charged a $10 nuisance fee in addition to the entry fee. All space in debate and speech will be allocated on a first come, first served basis; register early. All schools must phone in Thursday, December 13, 2018, to confirm their registration to 408.554.4793 between 4pm and 8pm. Schools not phoning may have their registration canceled or reduced at the tournament director's discretion. All TBA Entries will be waitlisted until names are entered. The deadline to enter names for TBA entries will be November 30, 2018. Any TBA entries without names after this date will be removed from the tournament. 1755 North First Street, San Jose, CA 95112 for $124 per night. Ask our contact Patricia Ramos for more information in the Sales Department. Schools are required to fulfill at least 50% of their debate and events requirement when fees are assessed on Wednesday, November 14, 2018. That means, you can’t buy out of more than 50% of your judge commitment. Fees for uncovered entries are listed below. Each judge covers two teams for Parli or Policy; four Public Forum teams/ four Lincoln Douglas debaters; 6 entries in speech and Congress. Schools will pay a judging penalty fee per speech slot, Congress entry, Lincoln Douglas/Duo Interp or debate team not covered by school judges. Congress judges may be asked to also judge speech since they will be in the same pattern and judge pool. Judges are committed one round past where their school drops from competition. Judges are assumed to be experienced and prepared to judge their assigned events or debate formats. Debate judges are free to determine style questions at the beginning of each round. Debate judges must have properly linked Tabroom accounts for online ballot entry. School judges who fail to check in to their rounds online when assigned may have their team fined the aforementioned penalties per round. Please contact us if you're unsure of your judging commitment, or have any other questions regarding judging. You are obligated to cover 50% of your judging requirement in debate and events with school judges. "Santa Clara Debate" c/o Communication Department, SCU, 500 El Camino Real, Santa Clara, CA 95053. Fees are due at 'check in' at SCU the weekend of the tournament. Public Forum: NSDA November Public Forum Topic. All speech and debate events, except Congress, will offer a novice and open division. We reserve the right to collapse divisions if entry size is too small for two separate divisions. Congress will only have one division. Novice is defined as a student’s first year of competition, or not advancing to an elimination round in your first two years of competition, regardless of debate format. Debate Pattern: Policy, Parliamentary, Public Forum and Lincoln-Douglas Debate plus Congress in one pattern. Events Pattern: Extemporaneous/Dramatic Interpretation /Expository/Original Prose Poetry / Oratorical Interpretation/ Impromptu /Original Oratory /Humorous Interpretation/Thematic Interpretation and Duo Interpretation. Double entries in Events are allowed but be warned that it may be a challenge to make it between rooms. Double enter events at your own risk. We may not be able to accommodate double entered students who miss rounds. School registration in part or whole may be rejected due to space considerations - please register early! Every year several schools cannot attend or have their entries restricted. The tournament will consist of six preliminary debate rounds for varsity, five prelims debate rounds for novice, and the three preliminary rounds of varsity and open events. All divisions will receive trophies. We reserve the right to combine divisions if the entry warrants. Generally we use CHSSA rules but there are exceptions that include: Persuasive will include both advocacy (Original Advocacy) and other "persuasive" speeches (Original Oratory). Extemp is combined national and international. Semifinals will be held in individual events with 50 or more entries or the discretion of the tournament director. Undersubscribed events may waive finals. Due to scheduling, we will only be breaking to Double octos for Varsity debate, and Octos for Novice debate, entries permitting. Schools entering Duo teams should also email a list of Duo names to Mjaich@scu.edu to confirm that the web entry is correct. Due to the size of the tournament, we will be placing caps on the debate events. Each school will be allotted 4 entries per division per event for LD, Parli, and PF. The cap for policy debate will be 5 entries per division per event. All entries over the caps will be waitlisted. Entries may also be waitlisted if the tournament reaches capacity. Schools will be moved off the waitlist as space opens up. Schools that have not already taken up their allotted slots in each event will be moved first, and schools with completed judge entries will also be given preference. Remaining waitlisted entries will be moved on a first-come, first-serve basis. Congress will have one open division only. 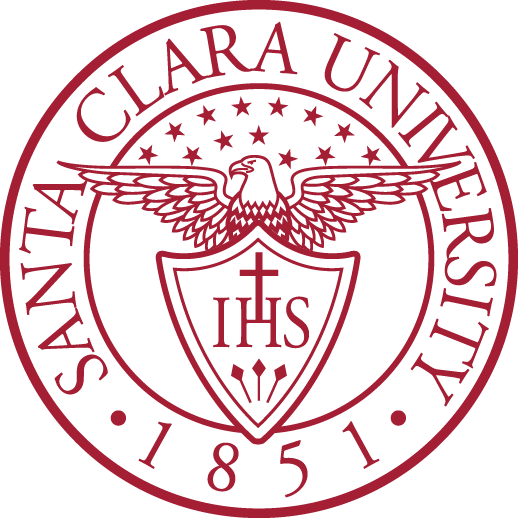 Please designate the PO's with a 'po' for every ten entries via email tomjaich@scu.edu. Bills will be included in the official tournament invite, which will be posted on the tournament webpage on Tabroom.com. The tournament awards a sweepstakes for overall performance small and large entry schools and best speaker awards for team debate divisions. Small schools are those schools with fewer than 20 entries. Sweepstakes is based solely on students advancing into the first elimination round earning 1 point for each student per event (Events = 1, Team Debates = 2). (Please note that parking is $8 on Friday before 8pm; Free on Saturday & Sunday. There is also free street parking nearby) Directions to SCU can be obtained from www.scu.edu. 4pm-8pm Confirm registration by phone (408.554.4793) If busy leave a message and return number and we'll get back to you!